NOTE: TO BUY BOTH FEASTDAY GIFTS AND FEASTDAY PRANKS AT A DISCOUNT, PURCHASE THE FEASTDAY COMBO PACK INSTEAD! Throughout Thedas, the great holiday of Satinalia is marked by sumptuous feasts, wild celebration, and naming the town fool as ruler for a day. Amid the feasting, it is customary for friends and traveling companions to play pranks on each other. To access this content, you will need to be able to visit the merchant Bodahn in the party camp. Includes: (1) Ten unique feastday pranks that your party members will love to hate. Each prank is specific to one potential companion. (2) Two types of gifts to let you apologize afterward. 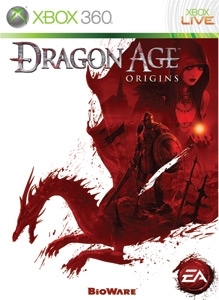 Requires Dragon Age: Origins save game to play. Inga återbetalningar för objektet. För mer information, se www.xbox.com/live/accounts.